Responding positively to your baby teaches him to trust you and your guidance. While babies are growing they may do certain things, like spitting, hitting or kicking when upset, throwing food down from a high chair or taking a toy away from a playmate. These behaviors call for your clear, respectful guidance. To discipline in a way that is effective and helpful to your growing baby (toddler) focus on teaching and guidance. Help your baby trust you and feel safe following your requests. A recent study at the University of Michigan has noted that spanking babies is a common, yet very misguided attempt at disciplining babies. Around 30 percent of one year old babies are being spanked at least once a month by their caregiver. The trouble is that such ways of correcting behaviors are more harmful than helpful in teaching babies right from wrong. Spanking and swatting babies makes babies cry more, become fearful and less likely to follow your requests. Spanking or swatting a baby does not help them learn. This kind of negative discipline is actually very confusing for babies. The smacking of a hand will not teach the baby that the planter shouldn’t be touched. Rather, he will likely be scared that he was hurt by his caregiver while he just was playing or exploring as his natural instinct is telling him. -Andrea Nair, Psychotherapist Read more about the harmful effects of spanking here. Spanking gives a confusing message, especially to a child too young to understand the reason for the whack. Parents spend a lot of time building up their baby or child’s sense of being valued, helping the child feel “good.” Then the child breaks a glass, you spank, and he feels, “I must be bad.” -Dr. Sears, Medical Doctor Read more on 10 Reasons Not to Hit your Child. A baby’s job is to learn about his world. As a parent, your job is to keep your baby safe and well in that world. 1.Child proof your house: Place dangerous items out of reach, gate stairs, lock up cleaners and chemicals. This way your baby can spend time playing and learning safely and you can be more at ease. 2.Provide safe toys: Have safe toys available for your child to reach. Placing a small basket in different rooms of the house is helpful, this way baby always has something they can have. 3.Create a safe space for baby: If you feel overwhelmed and need a break, place baby in a safe space such as a crib and take a short break yourself. Drink a glass of water, count to 10 and then come back. Whatever your child has done, the lesson with not be lost in the time it takes to calm down first. 4.Invite baby to participate: Even young babies have the ability to follow directions and be cooperative. There are many ways we can involve babies in their own care. From inviting them to hold a diaper to letting them try to wipe up with a damp cloth, Babies are very capable. Read here all about what babies are able to do. 6. Set up for success: Don’t leave your baby/tot alone with things he might break or destroy. For example, give your child board books to look at and not the softer flimsy ones. Don’t fill a cup to the top, instead fill just a few sips. Give few bites of food at a time. Don’t give your child access to paint and then leave him unsupervised…and so on. 7. Get outdoors: Children need opportunities to release energy positively, otherwise they will do so in ways we find destructive. Active play such as digging in sand boxes, pushing carts, collecting rocks, swinging, walking and splashing in water are all important to your developing baby’s well being. The change in scenery is often also very helpful to calming a fussy baby. 8. Say NO and then give an alternative: Don’t be afraid to say NO to your child if they are doing something dangerous. Use a calm voice, place a gentle hand on their shoulder and then offer an alternative. If your child becomes upset, listen and empathize, stay close but trust that you said no for a reason and your child will understand this soon enough. (If you are saying no very often, revisit #1 & #2) Read more about setting limits and setting limits when children become upset. 9.Play together: Time spent together with your baby/tot creates a very special bond. From this bond comes trust, which leads to more cooperation and listening. Find activities that you can do together every day. This time together is vital to healthy development. 10. Use time in: If your baby is having a difficult moment, crying, biting, hitting, explain you are going to pick her up for a moment. Then sit somewhere, near her or with her in your lap and let her express her feelings (cry, whine) and wait a few moments for the upset to pass. Tantrums and tears are about releasing feelings of overwhelm, this is not something that can be swatted or punished away. The more your baby can trust you to listen to her upsets, the shorter these moments get. 50 Play Ideas for Babies – A fantastic collection of play ideas specifically for babies. No-Spank Challenge – This program offers 30 days of learning alternatives and ways to be a more peaceful parent. 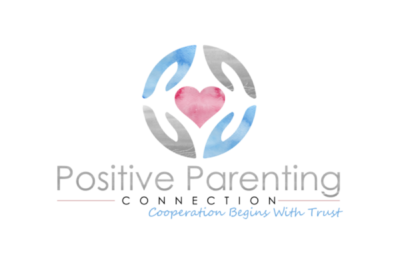 Stop Spanking.org – Find resources, links, videos, alternatives and much more to help you with parenting challenges. The Discipline Approach That Helps Babies and Toddlers Thrive – More on getting started with a positive approach to discipline. When Toddlers Bite & Hit – More on handling anger and aggression in the early years. Meagan, thanks for sharing that. I think that gentle physical touch is really helpful to getting the message across in a caring way. Thank you so much for reading, best wishes on your parenting journey. I think these are great tips Ariadne. Thanks a lot for sharing them. Hi Ariadne, thank you so much for this great article! I have a 14 month old who insists on biting when I’m nursing him … I’ve tried explaining to him that hurts me in a way that he would understand but he continues to do it just to see my reaction .. do you have any suggestions as to how I can get him to stop? Hi Safiya, Babies most often bite out of curiosity, frustration, teething or mouth pain, or to get your attention. All of those reasons require guidance and your gentle intervention. First, make sure to rule out any health concerns like thrush, low supply or teething pain. If none of those issues are what is causing the biting, then it’s likely your little one is just experimenting and learning about cause and effect and how to get you to react. This is ok, it’s not “manipulative” but really just “inquisitive” behavior. To stop it, try to stay calm when it happens and simply say “I will not let you bite me” and sit baby next to you, close your shirt for a moment. Your baby might startle and cry in response to your guidance. Stay close and try to be accepting of the tears. Offer comfort, and if it feels right, verbalize your baby’s feelings: “You are confused; you bit Mama. Mama squealed; now you feel upset. I love you,” for example. Once baby is calm again, repeat gently, “Please don’t bite. I love you. Biting hurts. You can try again now.” You can try offering milk again after a moment, but if the biting happens again, take a longer break. When babies are really hungry they will not bite but nurse instead if you are consistently loving and clear about your limits. I hope that helps you!